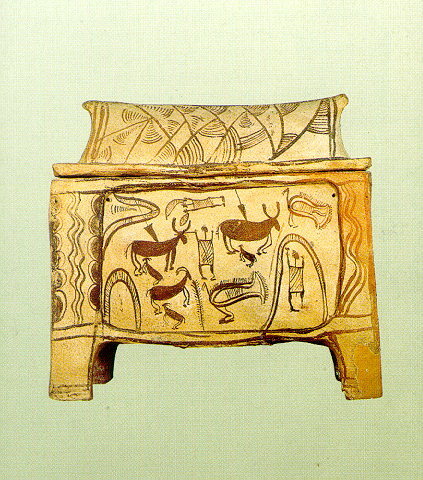 Clay larnax decorated with a hunting scene. Found at the Late Minoan cemetery of Armenoi (1320-1200 B.C. ).